PepsiCo is a global leader in the food and beverage industry. From humble beginnings in the late 1800′s as a soft-drink manufacturer, the Pepsi Corporation has expanded to include more than 20 companies in its business portfolio. As a corporate world leader, PepsiCo understands the value of investing in the future. The Pepsi Corporation regularly supports a wide range of grant and scholarship programs designed to make college more accessible to students across the country, and around the world. These scholarships and grants are both need-based, and merit-based, and apply to students pursuing a variety of educational and career goals. The following is a summary of the scholarships and grants supported by Pepsi for college-bound students struggling to meet the risings cost of post-secondary education. Fourteen $5000 scholarships are awarded annually. This scholarship is non-renewable, though students may reapply each year they meet the eligibility requirements. The Pepsi Bottling Group offers an annual $10,000 scholarship to graduating high school seniors who have maintained a minimum 2.5 GPA, and have been accepted at a Maryland college, university or technical school. Students must be active in community affairs, and must demonstrate good leadership and communication skills. Applicants must submit their high school transcripts, SAT and/or ACT scores, two letters of recommendation and a copy of their college acceptance letter. A written essay will also be required. Students interested in applying for the Pepsi Bottling Group Scholarship can do so through the financial aid office of their college or university. This scholarship is only available to students attending a Maryland state college, university or technical school. The Pepsi-Cola Public Affairs Scholarship is available to students currently attending Missouri State University. To be eligible for the award students must have completed a minimum of 45 credit hours with a maintained minimum GPA of 3.25. Applicants must also demonstrate a commitment to leadership and public service. All applicants must provide a letter of recommendation, and must submit an essay on public affairs. Scholarships are very limited, and students are encouraged to check with their college’s financial aid department for information on deadlines other application requirements. PepsiCo has made a $250,000 contribution to the American Hotel and Lodging Educational Foundation. This contribution has been used to develop a Pepsi Scholarship Fund to support graduating seniors from the Hospitality High School in Washington, D.C. Students must be nominated by the school for consideration, and must be enrolled as an undergraduate hospitality management major at an approved college, university or technical school. Applicants must have a minimum 2.5 GPA, and must have at least 250 hours experience working in the hotel and hospitality industry. 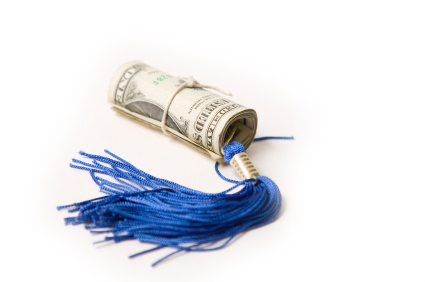 Awards range from $500 to $3000 depending on enrollment and total cost of tuition. The Mid-Del Technology Pepsi Scholarship is available to high school graduates of the Mid-Del Technology Center in Oklahoma who will be pursuing their degree at a participating state supported college or university. Applicants must have a minimum 3.0 GPA. Awards amounts vary, and are determined by financial need and academic achievement. The Pepsi/Phi Theta Kappa Transfer Student Scholarship is available to members of the Phi Theta Kappa honor society who are transferring from a community college to the University of Nebraska at Kearney. Applicants must have a minimum 3.0 GPA and must demonstrate a commitment to service-learning. To be eligible, students must be admitted to the University of Nebraska at Kearney no later than April 1 of the academic year. The award amount is $2000 per year, and is renewable for up to two years. The Pepsi Service Scholarship is available to freshman enrolled at the University of Nebraska – Lincoln. Applicants must be resident students with a minimum 3.0 GPA, and must be able to demonstrate a history of leadership and community service while in high school. Students will be required to submit an informal personal statement in essay form. A single scholarship of $1000 is awarded annually. The Pepsi/Frito-Lay Scholarship is available to high school seniors in the state of Michigan who have participated in the Wayne State University Upward Bound Program. Applicants must present proof of acceptance to a post-secondary institution, and must be able to demonstrate an overall improvement of their grades while maintaining honor roll status. Award amounts vary, and are determined by committee. The PepsiCo ExCEL Scholarship was developed to encourage and support the college ambitions of the children of the employees of PepsiCo and its subsidiaries. Awards are available to students pursuing their studies at approved colleges, universities or technical schools around the world. Since 1996, when the program was initiated, more than 2400 scholarships have been awarded to students in over 50 countries. These programs clearly demonstrate the Pepsi Corporation’s dedication to education. In addition to the programs discussed here, PepsiCo also makes significant contributions to other charitable organizations dedicated to putting a post-secondary education within reach of more students around the globe. Students looking for further scholarships and grants supported by PepsiCo should contact the financial aid department at their college of choice.